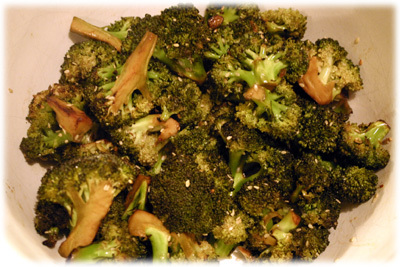 This is an amazingly easy grilled broccoli side dish to make and it has exactly the same famous Asian sesame taste that many restaurants serve. This particular Chinese broccoli recipe depends on a 4 hour marinade with sesame oil and soy sauce to let the flavors really penetrate the broccoli florets. The marinade is what gives the broccoli all its flavor and if you want it spicier then just double up the Sambal Oelek (asian chili sauce). You will need a perforated grilling wok to make this recipe. 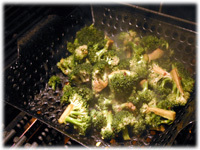 As you heat up the grill heat up an oiled wok, once its ready the broccoli stir fries very quickly. Top with sesame seeds just before its finished grilling and they toast up too. In a small glass bowl or measuring cup combine the marinade ingredients and mix well. 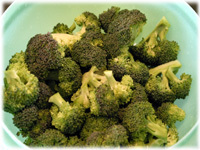 Cut the broccoli into bite-sized pieces and rinse well under running water. 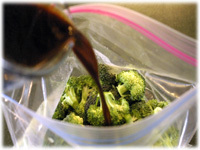 Place the broccoli pieces in a resealable plastic bag and pour in the marinade. Set aside for at least 4 hours if possible. Oil a perforated grilling wok and place on the grill. 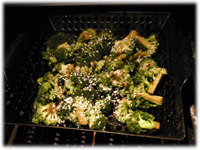 When the grill has reached this temperature dump the marinated broccoli pieces into the heated wok and stir gently. 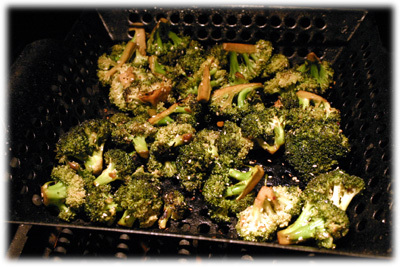 Stir the broccoli every couple minutes until it just starts to become tender, about 6 - 8 minutes. 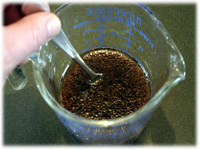 Sprinkle the top with sesame seeds and close the lid for another minute or so to toast the sesame seeds. Remove from the grill to a serving plate and serve immediately.